essential oils never made so much sense. start using essential oils every day with confidence and ease. Not sure where to start with essential oils? But know you’ll be really good at it when you do?! 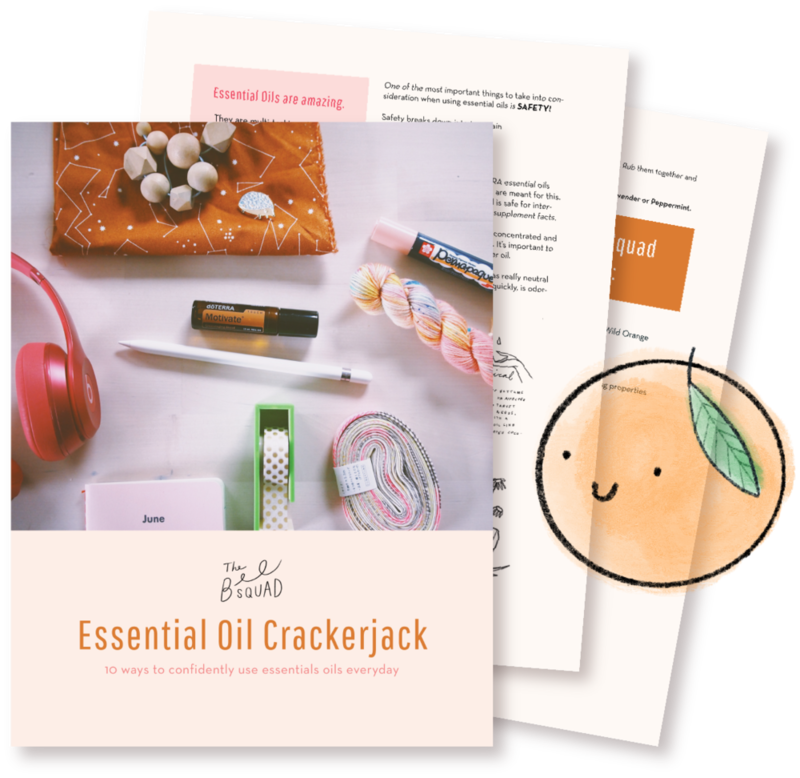 Download the Bee Squad’s FREE Essential Oil Crackerjack guide with 10 simple ways to confidently put essential oils to work everyday! Check your inbox for your confirmation and download! I'm so glad you're here! I’ve been working, creating, and educating in the creative sphere for the past 10+ years, and I'm thrilled for that creative world and the world of dōTERRA Essential Oils to join hands here on The Bee Squad! The Bee Squad is committed to thorough education and growing not only our understanding of these oils and how they can benefit our overall health an emotional well-being, but positively effect the world. The Bee Squad is a colorful group of creative individuals who have decided to take better care in a really radical, thoughtful and conscious way. We are problem solvers and go getters and we want more options, more control or our care, and to simultaneously do good. In other words, we’re the cuties that connect you to dōTERRA essential oils, and then we take care of you on your essential oil journey. We provide you with help, education, and even Bee Squad exclusive resources to make using your oils every day easy, fun and a no brainer. There will be a fuzzy line in your memory that separates BDEO (before doTERRA essential oils) and SDEO (since dōTERRA essential oils). You won’t know what you ever did without them. The Bee Squad believes that being well is for everyone no matter how many instagram followers you have, or your skin color, or which way the bathroom scale is ticking. You deserve to be well cared for by you. We’ll help too. We want to empower you by using natural solutions and essential oils and to make small and potent changes every day, while simultaneously making the world a better more sustainable place for everyone. Learn more about what makes doTERRA different. doTERRA is way more than just the world’s largest essential oil company. Find out what makes them different and how they’re changing lives all over the world!